UFO SIGHTINGS DAILY: Teenager spots UFO shaped black circle floating over his house, July 2015, UFO Sighting News. Teenager spots UFO shaped black circle floating over his house, July 2015, UFO Sighting News. 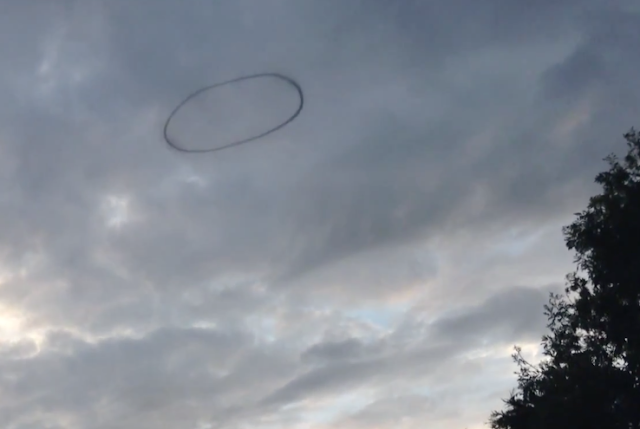 This ring UFO was spotted by a boy in England this week as it flew over his house. Although it could be a smoke ring, such ring UFOs have been recorded by the US military and they confirmed it was a UFO (Sept 1957 Ft. Belvoir). So, only a closed mind would say its 100% chance of being a smoke ring, however...there is a chance, just not that big. 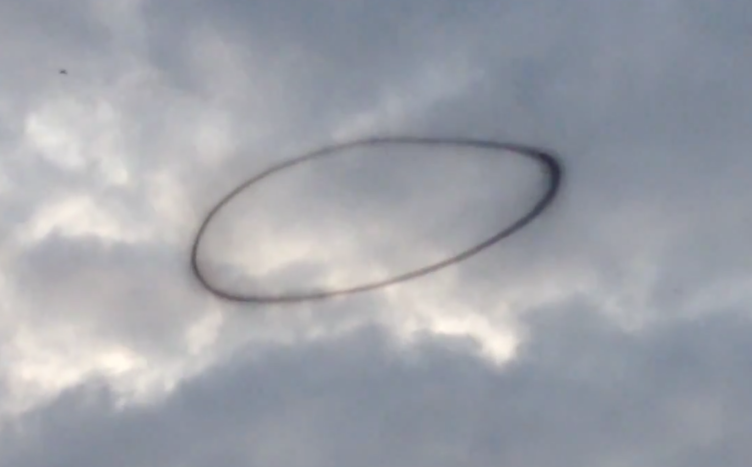 I believe this to be a ring UFO. A UFO that is a drone, but usually stays high up in the clouds and it can also form a cloud around in in under a minute. UFOs cause animals to act strangely...so did you notice the birds flying all around it? It clearly got their attention. This is a true sign of a UFO. Another is that it took place during sunset. Which is the #1 most common time to see UFOs.